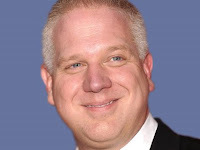 On his June 30th show on Fox, Glenn Beck asserted that Phoenix, AZ is the kidnapping capital of America, "with more incidents than any other city in the world outside of Mexico City." and that the federal government has "closed off an area that stretches 80 miles along the border." The first assertion is dubious at best and the second claim is false. Phoenix has experienced hundreds of kidnappings over the past few years. However, we couldn't find reliable around-the-planet evidence to confirm that only Mexico City experiences more of them. In fact, experts advise that such rankings can't be made based on available information. If they could, they speculate, other cities would prove to have more kidnappings than Arizona's capital. We found nothing confirming Phoenix as No. 2 in kidnappings worldwide. PolitiFact reported that Daniel Johnson, "an overseas kidnapping operations consultant at ASI Global," a company that counsels companies whose employees are kidnapped, said that kidnappings are "inherently under-reported" and that "no reliable empirical data" exists on them. Johnson also stated that "the definition of 'kidnap' varies" making totals difficult to quantify. Beck followed up his false claim about Phoenix by claiming that "it is so dangerous that in Arizona they have closed off an area that stretches 80 miles along the border." He added, "Some might say that's called giving up sovereignty." At this time there are no plans to reopen this southernmost 3/4-mile wide portion of the Refuge. The first of these two claims can be understood to be an orange truth, but the second claim that the closes off area in AZ is just a lie: worse than a white lie and not quite a whopper.